You make the choice to pick up all the pieces, try to put them back together again. Most people who know me or who have followed my blog will be familiar with my story but for those who aren’t aware I’m adopted. I was born in Waterloo, IA in 1974. I spent 20+ years searching for my biological family. Over the years I spent time battling an alcohol addiction and I suffered from anger, rage, low self-esteem, and lived a completely hopeless life. I had abandonment & rejection issues from my adoption experience and I grew up in an emotionally, mentally and sexually abusive adoptive home. It’s taken me years to move towards accepting and acknowledging the truth, and asking God to come into my life and heal me from all these different “things” I have faced in my lifetime. Today I live in VICTORY. The devil had his way with me for far too long and TODAY because of GOD my life is on the mends. I share my story so other adoptees know they aren’t alone and with the world because adoption is much more than the label “A beautiful thing!” I desire to bring hope to the hopeless adoptees because having someone that UNDERSTANDS is HUGE! Being adopted isn’t for sissies! We are strong, resilient and we are fighters. With that being said, as I was reunited with both my birth parents, they both met me and then rejected me. I hear people say, “You know, what feels like rejection is God’s way of protection!” I believe that to be true, but I also know in life especially in adoption I have always found people to want to silence my pain with reasons I should just be thankful for the circumstances I was born into. Let me just share that with this mentality I was never able to heal growing up. My healing was stalled, because the WORLD didn’t want to hear my pain, or acknowledge it in anyway. Even the 20 counselors I saw growing up NEVER ACKNOWLEDGED MY ADOPTEE GRIEF, LOSS & TRAUMA! All I hear is, “Aren’t you thankful you weren’t aborted?” or “Aren’t you at least thankful for your life?” If you want to know the TRUTH, I spent 37 years being angry my birth mother didn’t abort me and I STILL struggle being thankful for my life! If I hear that one more time I think I might lose it. Being transparent is the only way I can share things. I refuse to be marginally deceptive to make other people feel comfortable. Spend some time RESEARCHING Complicated Grief, Loss & Trauma for adoptees. GOOD LUCK finding it because there are no resources ANYWHERE for us but if you find any please share them with me! A few books here and there and on a rare occasion one of us might come across a therapist that specializes in adoptee issues but that’s very rare. They aren’t common at all but there are adoption therapists for adoptive parents on every corner, not to mention agencies. When you silence our pain with comments like that and refuse to acknowledge our pain you cause us more pain! When the walls come crumbling down we are left to figure it out on our own! I have quickly learned that those close to me who WANT to learn how adoptees feel will make the choice to actively listen and try to understand that there is more to adoption than just a pretty little story. As I was rejected by my birth parents, I was reunited with a half adoptive sister that relationship fizzled. She hated that I shared my less than perfect feelings on how adoption has impacted me and she has given a baby up for adoption. This caused an immediate clash between us and there seems to be no middle understanding. Her story is her story and mine is mine but she HATED that I shared adoption has been painful because she refuses to acknowledge her pain regarding losing her son to adoption. She lashed out on me and that was the end of that relationship. I have had 3 biological family reunions and 3 fizzled reunions. Words can’t even begin to express the pain involved with these losses. I spent MANY years in denial, and really angry. Today I have gained acceptance but I had to step out of denial and the only way I could step out of denial is by learning my TRUTH! Shame and secrets stepped in the way so this is why I’m healing so late in life. The younger we learn our TRUTH the earlier we begin to heal. Secrecy and lies prevented me from healing. Today, as heart breaking as it has been at least I have my truth at least I’m healing! I have written for the last 5 years about how God saved the best for last. I didn’t find out I had a brother until 2010. I searched for him for a year in November 2011 I finally found my brother. We shared the same father. December 2011 was the first Christmas I ever spent with a biological family member. I can’t even tell you at the excitement and happiness to have finally found the BEST PART of my adoption search and the reunion was a great one. My brother was accepting, his siblings were accepting, and his children were accepting. We spent the next 5 years making up for lost time. I can tell you that he was and is the first person I ever felt like I had a biological connection besides my own kids. It was something only my fellow adoptees could appreciate because you had to grow up being denied that right, in order to understand how important it is. FINALLY GOD SAVED THE BEST FOR LAST. MY BROTHER WAS AND IS THE POT OF GOLD AT THE END OF THE RAINBOW FOR ME. Adoptees know that desire, that need to just feel like they belong, that deep desire to have that deep connection with their blood kin. Non-adoptees can’t relate because they haven’t gone without. It’s something most people take for granted. My brother has given me hope, that finally I will have some biological connections with someone somewhere. I imagined that one day when I get married he will be there at my wedding and he can meet all my adoptive family and they can finally see someone else that looks like me, acts like me and who has similarities as me. They will be able to see how awesome he is. I’ve been elated because my niece had her first baby, and I got a card in the mail that said “Auntie” with a Christmas picture with him in it. She kept me up to date about her pregnancy, and it’s been fun slowly building relationships with all of my brothers 4 kids and his siblings. They have all accepted us, loved us, and warmed us into the family. We traveled back and forth to Texas to his crawfish boil. He has been to Kentucky many times and celebrated a few Christmas’s with us. This past Thanksgiving 2015 we drove to Texas and my kids and I spent the first Thanksgiving in 41 years of my life with biological family. For me this has been a dream come true to a pretty tragic story. God saved the best for last! What feels like REJECTION is God’s way of protection might be true, but that doesn’t mean I still don’t have pain, grief & loss associated with the situation. I know that God understands the pain because he too can feel the deepest parts of my heart, every little broken piece. As the story unfolds, my biological father doesn’t claim me and he shared doubts with me about my half-brother. My brother is 10 years older than me. He was always told growing up that J.J.; our birth father is his father. Our birth father even acknowledged him at a few different times in his life but they hadn’t had a relationship in many years. I found my birth father in 1999 and mailed him a letter sharing with him who I was. I waited every day for the mail and had high hopes he would respond but after giving him 11 years I never had confirmation he received my letter, so I decided to drive to Iowa to see his face at least one time in my lifetime. 2010 was the year my birth mother died and we had only met one time. It was also the year I laid eyes on my birth father for the first time. During this visit he shared with me I had a half-brother, He said he had some doubts he was his or not, but he was believed to be in the Dallas/Fort Worth area, he gave me his name and off I went. The search was on. In my heart I felt that if my birth father didn’t claim me, and he wasn’t for sure claiming my brother I would leave it up to my brother and I to determine if we were siblings because as soon as we saw one another’s childhood pictures, and pictures through life we just knew we were siblings. We spent some time together and our similarities are astonishing! We have so many of the same mannerisms, we’re both tall, we have the same complexion and if my hair was natural we would have the same hair color. We are so much alike, and in my heart I finally felt a connection to someone I shared DNA with, which was a connection I had never felt in my lifetime aside from my relationships with my kids. It was amazing to finally feel like I connected with someone! So over the years building this new found relationship has been challenging due to the distance, but we have made many phone calls and visits back and forth. We have done the best with the circumstances. I have struggled in my own personal way I know my fellow adoptees get this with the fact that so much time has been lost. I get angry regarding this matter. I missed EVERYTHING with my brother, and I get emotional about it, thinking of missing his weddings, his kids being born, having that brother/sister relationship bond that is indescribable and PEOPLE chose to take our relationship away from us. Time is the most valuable thing in the world and 38 years gone, never to return. This has been one of the deepest parts of my hurt, and of course these feelings aren’t welcome anywhere because non-adoptees just don’t understand and they all say “Well aren’t you just thankful you found him and you having the future to look forward too?” Yes, yes of course I am but that doesn’t change the facts which have caused me a great deal of pain. Thanksgiving 2015 I asked my brother if he would consider doing a DNA test so that I could present it to our birth father. Over the years he has said numerous times, “What are we going to do, get a blood test 40 years later? !” Well, actually that’s a great idea. If PROOF I am his child and my brother is his child might sway him into letting me meet my grandmother for the first time before she dies than for me it would be worth the hassle and cost of 2 DNA tests. (Mine was already uploaded to 23andme and GedMatch) My brother understood in my needs in wanting to do this due to my circumstances regarding my “Story”. My only purpose was to upload my brothers DNA to GedMatch and we would be able to use the “One to One” compare feature comparing our KIT #’s and BOOM… I could print this out, and compose a letter and mail it to my birth father. Once and for all we would have proof and he couldn’t say we weren’t his. DNA doesn’t lie. Now that doesn’t mean anything would change with him, but I hung on to the little piece of hope that maybe DNA PROOF would maybe change something, after all he said over and over, “What are we going to do, get a DNA test 40 years later?”. I mail my brothers DNA off to AncestryDNA and the waiting begins. 2 days after Christmas his results come in. Dec 27th I uploaded his DNA to Gedmatch and I waited a day to make sure they results were fully uploaded and in the system. As I compare the “One to One” feature I couldn’t believe what I found. I tried it again, and again and again. I got the same thing every time. My first thoughts were, “There is no way I’m believing this. This has to be a mistake” but deep down my heart sunk. I reached out to a few ladies I’m close with that were more familiar with DNA than I am and they both confirmed that the results are true. I refused to accept this. I called my brother a few days later, and I shared the news with him. HONESTY IS EVREYTHING EVEN IF IT HURTS! He also refused to accept this. We did not believe these results. I had many people say, “The DNA test could have been faulty”. Well, if there was even a TINY chance the DNA test was faulty I was running with that, and so was my brother. I mean we are NOT ACCEPTING THIS! All the adoptee “fears” come rushing in. Thoughts like “I knew I was going to lose him too” and “I always knew he was going to disappear too”. The enemy was having a field day with me. I was NOT accepting this. It was obvious that the next move was the prove weather his test was faulty or not. So in order to do that, I started to contact his highest DNA matches on Ancestry DNA to find out some of their surnames and see if I can make connections to his mother’s side. If I was able to make DNA connections to his mother’s side, than that would mean the test is not a faulty one. Of course we want the test to be faulty!!! As a few days pass, and I explain to my brother what I’m doing and make sure he is okay with it, I uncovered his DNA has many ties to his mother’s side which indeed was proof his DNA was not a faulty one. EVERYTHING IS ALWAYS TAKEN FROM ME! 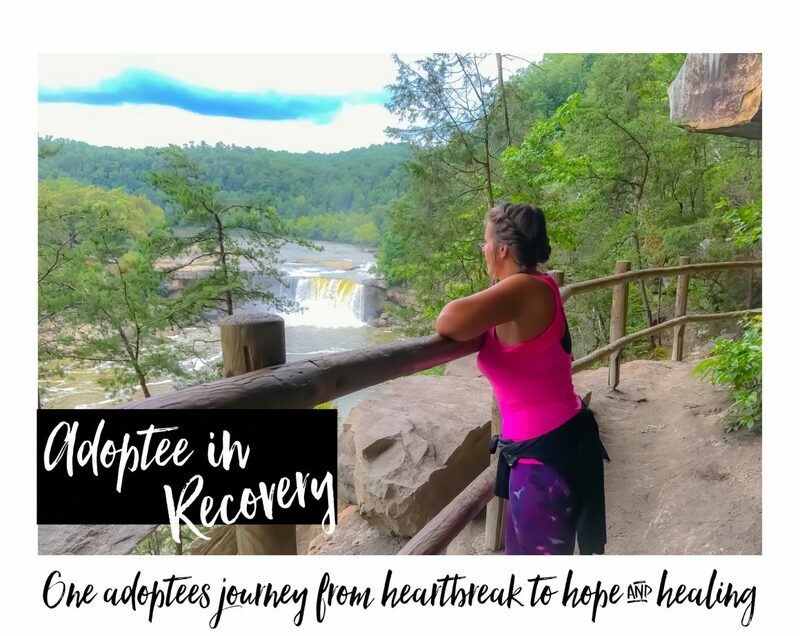 EVERYTHING REGARDING MY ADOPTION EXPERIENCE EQUALS GRIEF, LOSS & TRAUMA! This is the most devastating news to me, and it seems there isn’t anyone in the world at this point that can relate to the deep level of pain and sadness I am experiencing regarding this matter. I cried for 3 days straight before I could even tell my brother. So what does this mean? I was able to trace my DNA connections to J.J. my biological father which means if I share DNA with J.J. and my brother and I share no DNA J.J. is not his biological father. What turns out to be something that started out so simple turned into something far more that what we ever expected. I was not only experiencing my own shock and sadness, but I was also feeling some major sadness for my brother because now I had to tell him the TRUTH and I know the TRUTH might hurt. So many dynamics to this situation but the end result is that the TRUTH is ALWAYS better than living a LIE. I have sat and tried to figure out what God has taught me in this situation… I know there had to be a lesson and some areas I am going to grow in regarding many dynamics to this. One thing that comes to mind is that I have never experienced a DNA felt connection with anyone aside from my kids until I met my brother. Now, knowing he’s not actually DNA connected I can TRULY say I still have a connection to him and for me that’s a big deal. It has helped me learn that I can have a close connection with someone I am not DNA connected too. I had a few close connections growing up with a few of my adoptive family members I was close too, but I never felt similar to anyone until I met my brother. The other thing that I feel God was teaching me is to share with ALL MY FELLOW ADOPTEES that DNA TESTING IS CRITICAL! Don’t just assume and go off of what you are told. Even if the reunion seems to be the PERFECT FIT like mine did with my brother, GET DNA TESTING ANYWAY! I CAN NOT STRESS THIS ENOUGH! GOD HAS THIS HEAVY ON MY HEART TO SHARE! SO MANY LIES AND SECRETS IN ADOPTION, DNA TESTING IS CRITICAL TO CONFIRM! NO MATTER WHAT! As far as I’m concerned he’s still my brother. I cried and was really upset for about 3 days, and I had to get myself together so I could share this information with my brother. I prayed and I called him. My fellow adoptees understand the FEARS associated with reunions, and it seemed one of my greatest fears of my brother leaving might be coming true, but I knew I still have to share the truth. I have heard many people say, “Family isn’t always blood, family is what we make it!” and I find this to be true. But as an adoptee that has already lost so much it’s hard to not fear abandonment again. It has happened with every “reunion” I have experienced with ALL biological family members. I have LOST every single one. So naturally based on my experience I am in fear. Maybe my brother will not want to be my brother anymore? Maybe my nieces and nephews won’t want to be in my life anymore, even if they are all far away. I will once again feel all alone in life, and that happy ending wasn’t happy at all. My pot of gold at the end of the rainbow has been snatched away and God didn’t save the best for last, he took the best part of my reunion away. I have felt like this was some evil trick someone played on me. I had to think about this for a few days. Process everything. I had to feel the emotions and allow myself the room to feel them. I had to cry. I had to cry out to God and ask him to SHOW ME what he is trying to teach me here. I knew there had to be some reasons. All those years of my hopes being high for these WONDERFUL DNA relationships, these fantasies of these AMAZING people that I would look like and act like and have so much in common with are really nonexistent and I can’t begin to describe the sadness and loss attached to this disappointment. Of course I had no other options than to believe it would be all wonderful to connect with DNA “Family” because I hadn’t ever experienced it and I always had such a longing to see where I came from and who I looked like. I had HIGH HOPES ALL MY LIFE! After all, “Your birth mother loved your so much” left the imprint deep in my mind all the way back to the first time I heard it that my biological family loved me, and why would they be anything less than wonderful? I could go on ALL DAY about what has been stolen! So what do you do when the wall comes tumbling down? I’M NOT LETTING THE DEVIL STEAL ANYTHING ELSE FROM ME! The devil is not taking my relationship with my brother, or my nieces and nephews. He’s not taking anything else from me. He’s taken my relationships with both birth parents and my birth sister and I’m NOT letting him take my relationship with my brother. TO HECK WITH THE DEVIL! HE IS A LIER! I believe God started preparing this for me early, as I began to build my church family and I started to experience that type of “family” that I had never experienced before. There is nothing like it anywhere and I am not DNA related to any of them. Not DNA from the world anyway. I do share DNA with them regarding us being in the body of Christ together and I must say THEY HAVE SHOWED UP AND SHOWED OUT WHEN NO ONE ELSE HAS! They have shown me the true definition of love, loyalty and what a “Family” is all about. At my church, we call them “Family of Choice”. I couldn’t imagine my life without them. I never knew how special and awesome they were until I experienced it. I can share how empty my life was without them. But learning and building these relationships I have TRULY understood and realized family isn’t always blood, but I had to experience this and experience that latter to actually “Get It”. People just telling me that wasn’t helping me. I had to experience it myself. WE ALL HAVE TO EXPERIENCE THINGS ON OUR OWN! So today, with the new found results in my life, I can say I’m still sad and I still have fears that my brother is going to disappear being an adoptee I have that fear anyway about everyone and maybe “Change his mind” about wanting to be my brother. But our last words to each other were, “IT’S NOT GOING TO CHANGE ANYTHING” And if I have Jesus in me, I have his hope in me too. I am making the choice to hang onto his word and I am NOT letting GO of my relationship with my brother. He is still my brother and I don’t care what DNA says. YES, I am glad we know the truth now because what that means I need to help my brother find his TRUTH! “Then you will know the TRUTH and the TRUTH will set you FREE” –John 8:32 is the verse I stand on! I can’t help but wonder if that is one more reason God put my brother in my life 5 years ago? As adoptees we receive every little puzzle piece about our lives, any little clue we can get. We piece it together as one overall goal.. I will share as I end, that secrets and lies hurt and they destroy lives. If you are holding back sharing the TRUTH with someone please know that God is a God of TRUTH. Truth means NOTHING HIDDEN. This is why the Adoptee Rights Rally 2016 is so critical! We all deserve to know our truth no matter how painful it might be. This has literally crushed me, but I would still rather know the truth ANY DAY! What we choose to do with it is our business. I’m praying for everyone involved with adoption realize that secrecy and lies HURT and TRUTH HEALS. We all deserve to know our truth and we all deserve our BIRTH RIGHT so we can move forward and HEAL! You see, adoption is far more than adopting a beautiful baby to complete a family or to make someones dreams come true to be parents. For adoptees, adoption is rooted in grief, loss & trauma. We have to deal with the life long consequences for decisions that were made for us, decisions we had no choice over and we have little to no support in processing the grief, loss & trauma we face. I have found that societies ignorance to this grief, loss & trauma has only stalled and prolonged adoptees in receiving truth & healing. I’m praying more and more adoptees speak up and speak out and society starts to open their eyes, ears and hearts to receive what adoptees have to say. Would you like to join our ALL ADOPTEE Grief, Loss & Trauma Virtual Open Share Group? Send me a Friend Request on Facebook.Send me a message and I will invite you to the group. This is a “SECRET” group for adoptees ONLY and you can only join by invite. Never give up hope in finding your family. You aren’t alone! Can you relate to this blog post? If so please comment, share and let me know your thoughts. Adoptee Rights Rally Petition Signing Party! If we could all consider this, we would have our 100,000 signatures in no time. We need 100,000 Signatures For the for the President to enact an Executive Order which would restore the Original Birth Certificate to every ADULT ADOPTEE in America in one fell swoop because it is a civil and constitutional right! This seems like such a HUGE number but if we break this down this is what it looks like. We already have 15,000 signatures so we are only seeking 85,000 more. I spent $11 yesterday making 100 copies of the petition, and 20 copies of the Adoptee Restoration Act. I purchased one small pack of file folders. I’m putting 1 Adoptee Restoration Act and 5 Petition sheets in each, along with my contact information via a business card, but could be as simple as a label or your name and number written across the top. I’m also including a personal letter from me into each petition packet, because as we share a piece of our hearts it seems peoples heart strings get pulled and they are more likely to sign and even get on board with adoptee rights. Here is a sample of my letter. Feel free to use it or ask me for a copy and I can email it to you, and you can change it around to suit you and your experience. I will be hand signing each one and include one in each file folder with the Adoptee Restoration Act and 5 petition sheets. If I find 20 people to help and ask them to fill 5 sheets each, that’s 50 signatures each. Multiply that by 20 and I will have 1000 signatures myself. All I’m doing is reaching out to my local people and ask if the would like to get on board and help this cause. Even people that aren’t adoptees would like to help because they might have someone impacted by adoption in their life. Some businesses would like to help and maybe sponsor us. If we need 85,000 signatures that means if 85 people step up and take on this challenge to create their own local teams we would have all our signatures in the next few months. If we can double that to 170 people taking this challenge we would only need to get 500 signatures each which would make it even quicker and faster to gain these signatures. 85 people is not a lot! If we split that load in half that would be 170 people. The price would be $6 each to print the supplies. It cost me $11 and a little time, and networking locally but in the process I will get my name out there for a great cause, and hopefully inform more people about the rally and what’s is involved with it. Each person we contact is one person we can share our desire WHY this is so important to so many adoptees all over the world! ALL WE CAN DO IS TRY!!!!!!! If we commit to trying, we can keep track of how many signature sheets we have here and motivate and inspire one another. We can share who we have targeted in our area and how their response was to helping. I’m asking for all those reading if they would commit to getting on board and helping with the Adoptee Rights Rally from the comfort of your own home and town. This offer is for EVERYONE who is reading this. No one person is excluded. If we get more signatures, that’s even better. If you would commit and join our Adoptee Rights Petition Signing Party PLEASE make a commitment, you can email me at pamelakaranova@gmail.com or comment on this blog post. You can send me a Facebook Message and you can also share this challenge with all those you know and love. Feel free to share it, copy and paste it or whatever you need to do to get the word out there. Add Pamela to your Facebook!